Are you familiar with the origins of Valentine's Day? Things tend to evolve over time. Do you really want people to go back to sacrificing goats and dogs? Valentine's day as you know it, is not.﻿ It's a 19th century English invention that only really was known in English speaking countries until recently. Please see the link I posted above. Valentine's dates back to the 3rd century AD. You weren’t in school and had a box for the other kids to give you Valentine’s cards? I’m sorry for you. Nope, I would send a card to someone of interest or maybe they would send me one but as I'm not a love interest of everyone that I meet on Valentine's Day, saying it to me just comes across as a pointless, disingenuous comment with zero substance. Might as well wish me happy grumpy day, at least I'll smile back at them instead of giving them a perplexed look as I wonder why they've bothered to say Happy Valentine's Day for no applicable reason! Besides, it's not a day that I celebrate. My point was, and I didn’t explain it well at all, when some of us were very very young, the tradition was to give everyone in the class a card. That way everyone felt special. I got a box with a box in it for Valentine's today. As a metaphor for my love life, it is really quite apt. Nooooo, that's like the school sports days where "everyone is a winner". Just no. Life is competitive, deal with it. For me, just spamming cards would dilute the sentiment because nobody is special by the sheer virtue of everyone being the same. So you can't love people you're also competitive with? If you can't, why can't you or what would prevent it? But when you are like, six years old, it’s fun. 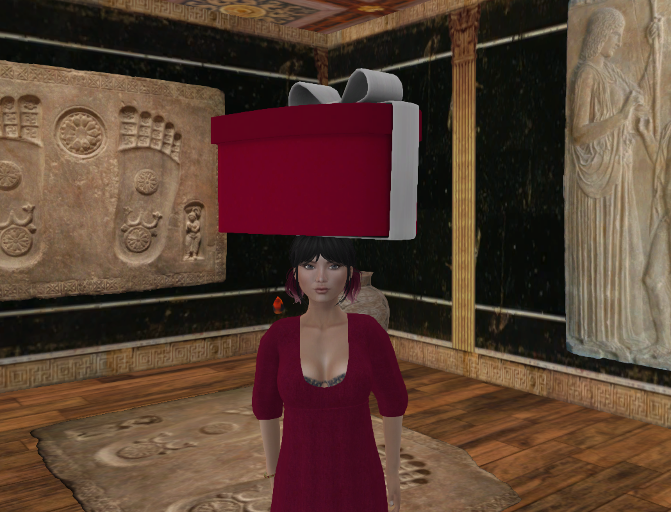 So you're the box lover I keep hearing about that likes to wear boxes on their head. That is, Valentine's day is one of the many old catholic feast days celebrating various saints. So it is a part of the underlying Western tradition and it always has a love or friendship theme. But the way it is traditionally celebrated, if at all, differs a lot. I wasn't talking about Valentine's day in general but about the specific tradition with the focus on lving couples, Valentine cards and Valentine gifts. That's a fairly recent (at least according to wikipedia) tradition and lovely as it is, it's definitely a very specificlly English one. It spread fairly quickly to those English colonies that were dominated by English immigrants and to the USA. The rest of the world learned about it through Hollywood. I don't see any mention of the 3rd century Roman celebration in which Valentine's Day has its roots. From Feb. 13 to 15, the Romans celebrated the feast of Lupercalia. I said it was ancient and named after saints. I did not mention any specific dating or how the two Valentines gained their sainthood because quite frankly I can't for my life see how that Level of Detail is relevant to this discussion. I thought Bradford's interjection needed a few details to help keep things in perspective. Pardon me for butting in with relevant information some are not aware of. Teacher addresses the class of six year olds: "Some of you will grow up to be more beautiful than others, some of you will have more money. Some will be more spiritual and some will just be funnier. Life is competitive, start learning now." I'd make a great teacher. Oh yes, I see your point then. It wasn't mentioned until not long before this post, but, traditionally (in my lifetime, anyway) Valentine cards were given to a love interest anonymously. So not knowing who send it, Coby, is in keeping with that tradition. 'Love interest' isn't really accurate because, although it can be a 'love' interest, it is also a 'fancy' interest. I don't want to destroy my competitor, come in for 'the kill' at the end if my argument or skill is 'best', or revel at the fact I came out on top. I'd be more inclined to thank the competitor for helping me develop my skills at the end of a contest. I've actually been helped by competitors in SL, for example, and I've helped others who were my competition. I've also encountered cut-throat creeps who wanted nothing but to tear me down and win over me while I was left in the dust as they went on their 'victorious' way. I don't like fakeness, but I think what you're describing here could be defined as 'politeness', almost like saying 'have a nice day' to strangers when you part from them. Since many holidays are accepted by the majority it seems many are trying to be polite and 'go with the flow' by acknowledging them in public. I don't mind this as long as they aren't forcing it on me. In this day and age of too much rudeness and negativity I think it best to take something offered in kindness whenever you can! I do remember, however, with my soon-to-be husband, in our teen-age 'wisdom', declaring that holidays were stupid & fake and we vowed not to follow them. Of course, we had a better way to run the world in so many areas...lol.